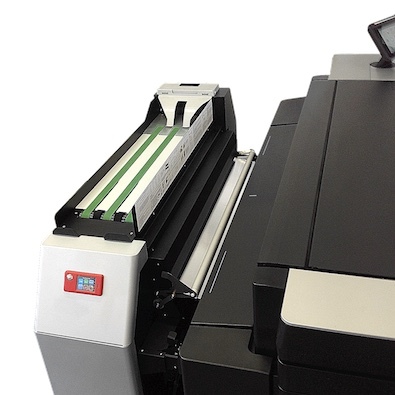 An On-line compact folding system for wide-format Drawings, Plans and Charts for the HP Pagewide XL 5100, 5000, 4500 and 4000. A minimal footprint a and a cost-effective investment for a productive folder integrated with the HP PageWide XL as an on-line system. The most compact on-line wide format folder line specifically designed to automatically fold paper documents matching the productivity of the HP PageWide 5100, 5000, 4500 and 4000 XL printers. 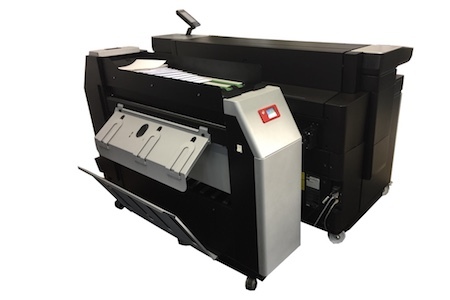 Full on-line System: GeraFold 500 wide format folding machine is specifically designed to operate as an integrated system. The selection of a complete folded job can be handled from HP SmartStream software, the printer touch screen, the driver and the scanner. Today Gera through its close collaboration with HP Inc. as an HP DesignJet and PageWide XL Gold Level Technology Partner, is able to provide the widest range of on-line folders for HP Large format printers. Gera registered the patent of the very first folding machine in 1969.